If you do not fear the dentist, chances are you probably know someone who does. While fear of the dentist effects more children than adults, it is still extremely present in the adult population. 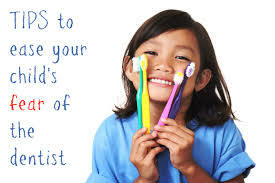 Fear of visiting the dentist is a frequent problem in pediatric dentistry. A new study confirms the emotional transmission of dentist fear among family members. It analyzes the different roles that mothers and fathers might play. A new study conducted by scientists at the Rey Juan Carlos University of Madrid highlights the important role that parents play in the transmission of dentist fear in their family. Previous studies had already identified the association between the fear levels of parents and their children, but they never explored the different roles that the father and the mother play in this phenomenon. Published in the International Journal of Pediatric Dentistry, the study analyzed 183 children between 7 and 12 years and their parents in the Autonomous Community of Madrid. The results were in line with the previous studies, which found that fear levels amongst fathers, mothers and children are interlinked. This is why as parents, it is very important to be careful when talking about the dentist experiences at home or in front of children. Statements like; If you are not nice, I will send you to the dentist, or don't worry it won't hurt, or brush your teeth or you will have to have your teeth pulled are not good phrases to use, and can only be negative for the child. It is important to understand that once someone fears something as a child, it is hard to change the behavior later on in life.